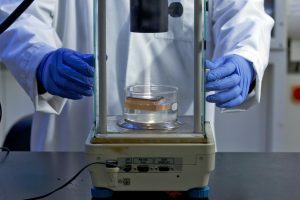 Maryland University (UMD) scientists have built a new basswood solar evaporator to make small-scale desalination more practical. According to UMD associate professor Liangbing Hu, the device employs a technique known as interfacial evaporation, which shows great potential in response to global water scarcity due to its high solar-to-vapor efficiency and low environmental impact. “These features make it suitable for off-grid water generation and purification, especially for low-income countries,” asserts Hu. Interfacial evaporators are made of thin materials that float on saline water. They continuously pull up the saline water from below by absorbing solar heat on top and convert it to steam on their top surface, leaving behind the salt, explains Hu. Nevertheless, salt can build up on this evaporative surface and gradually degrades performance until it is removed. To remedy this, Hu and his colleagues minimized the need for maintenance by building a device made out of basswood. Basswood is known for exploitation the material’s natural structure of the micron-wide channels that carry water and nutrients up the tree. The researchers supplemented these natural channels by drilling a second array of millimeter-wide channels through a thin cross-section of the wood, notes lead author on the paper, Yudi Kuang. The top surface is then briefly exposed to high heat; this helps to carbonize the surface for greater solar absorption. According to Kuang, the device possess excellent anti-fouling in a wide range of salt concentrations, with stable steam generation achieving about 75% efficiency. Hu’s lab has also developed another solar-heated prototype device that takes advantage of carbonized wood’s ability to absorb and distribute solar energy. This helps the device to clean up hard-to-collect heavy oil spills. The team has further engineered a ‘super wood’ that is 12 times stronger and 10 times tougher than natural wood.